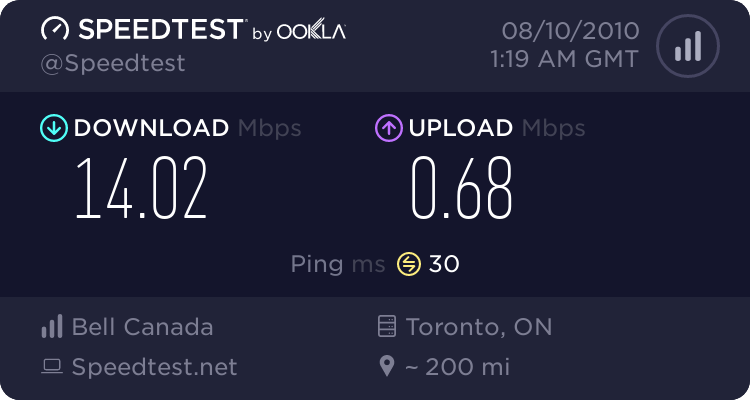 I don't think its possible to have a latency of 0. 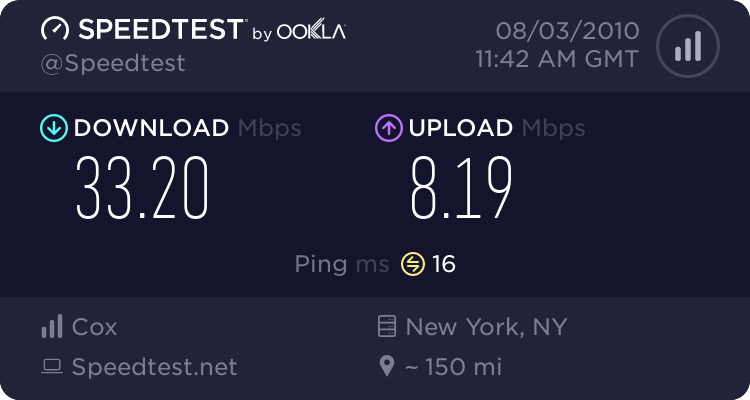 Even from me to my ISP CMTS (Next hop after modem) is like 5-6ms. I think thats some bad data. I mean even if you could SEE the server out the window, I can't see getting below 8ms. Nice dude. 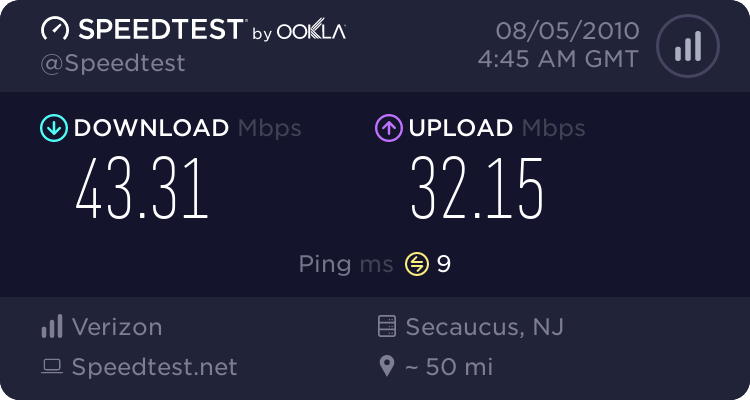 Charter support DOCSIS 3.0 in MA? 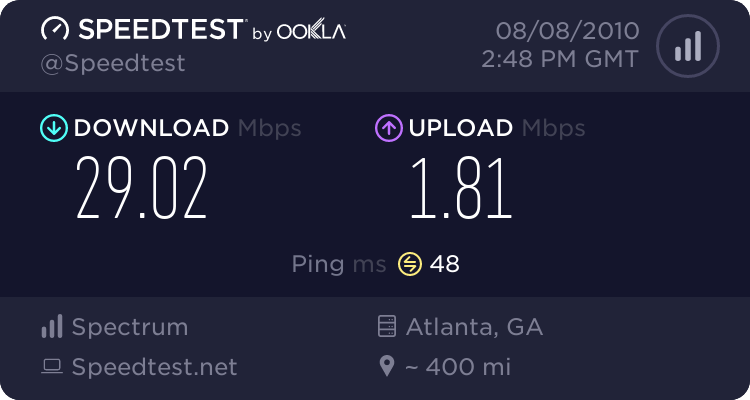 I knew Comcast did but I thought Charter was still Maxing at 25 down. The upload is slow lol..
holy smokes thats juicy internet, if you dont mind me asking how much you pay for your ISP? do you have a bandwidth cap? 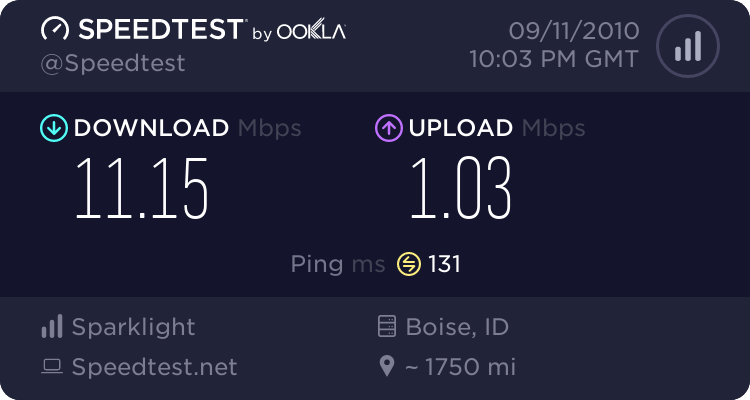 What I love, is I just downgraded from Ultimate (55 down and 5 up) to Preferred (20 down and 4 up) and I still get great speeds. 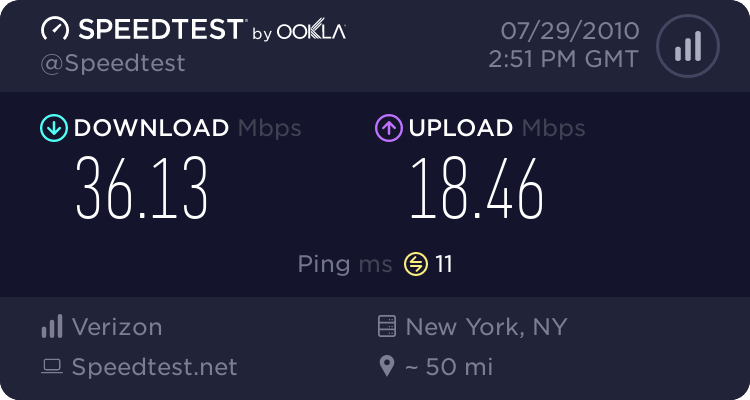 Got to love Docsis 3.0. Ok, SB 6102 connected and online. Woo Hoo. 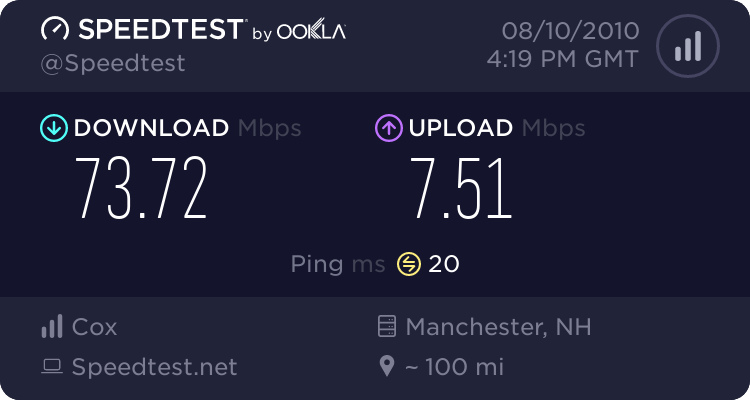 No major speed improvements however I only need 10Mb for now. Real test will be XBL and general use. At least when they come up with fast speed packages, I'll be ready. Looking good so far.